Here’s a fact: Sale season is the holy month for the devotees of shopping. It is that time of the year where we all leave our worries and tension behind and focus on something more important. “How much discount is that on?” Husbands, boyfriends, children, in-laws, bosses, crushes, and every other loved one become significantly insignificant during our hours of worship. So before you get completely immersed in the sales frenzy here are some easy breezy pointers to keep in mind while shopping for discounted goodies. Shopping is therapeutic but sale shopping is an art. It requires patience, finesse and strong will power to make it through a sale day. Remember, you have to get the BEST out of the sale and not let it get the MOST out of you! The smart thing to do before any sale season is to evaluate your wardrobe. This way you don’t end up buying pieces similar to the ones you already have. 2. Excuse me , are you having a Rebecca Bloomwood moment? We all have seen how sweet innocent Rebecca was hypnotized by the lure of sale goodies. Honestly, nothing makes you cheat on your budget quite like a 'SALE' sign. Therefore, try and have a target number that you will not cross at any cost. Also, ease up on the plastic, pay as much in cash or use a debit card. This way you end up keeping a better tab of your purchases. No matter how long the changing room line is, you MUST try out the stuff you are buying. Also don’t let those red signs make you buy thing you don’t need. If something is too small, too tight or not the right size and down right unflattering then even if its 90% off don’t bother buying it. If they give it to you for free, that’s another story. 5. I want it All...NO, Not Really! Just because the whole mall is on sale, does not mean you need to shop it all. Ideal pick the brands you most want to shop from and then work your way down. If you are lusting for a pair of jeans from brand A start with that and then on. Going to every single shop will not only be tedious but will also bring on major confusion. Are you a complete sale shopper like me? 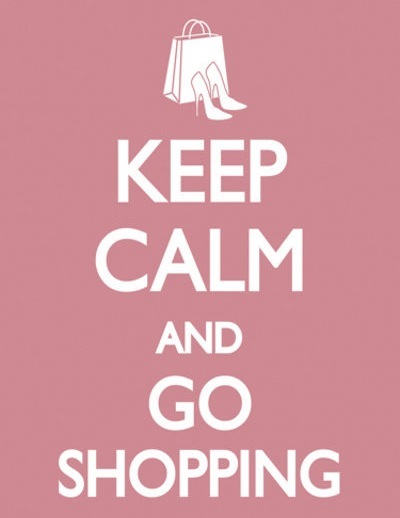 And what is your strategy while shopping during the discount season? Share your views with me in the comment section. Great post and lovely tips..
To control myself, usually I cover my ears when I hear everyone talk about the Zara sale, and I take my own sweet time to get to it. Sales last for a long time, so I try to catch them at the end, who cares if all 'the good stuff is gone', at least I'm not on a crazy spree buying everything that I like! I think its the best way to control myself. Of course if there is something that I really really want (and also need), then I'll go there quickly to get it!! Really informative post. I just went to Neiman and HOLY GOD everything is on sale. I tried on seven different things and came out with one pair of color blocking shorts for 50 bucks. So, I showed control...it was hard, but I did it. Yaaay! Amena, all your posts are so informative. And not only that, they make the best reads. Definitely some essential tips to keep in mind! in depth information you present. It's awesome to come across a blog every once in a while that isn't the same out of date rehashed information. Wonderful read! I've saved your site and I'm adding your RSS feeds to my Google account. Awesome post!! I love sale shopping and try to avoid the becky bloomwood 'magic card' moments! Now I think I have it down to art form- the art of shopping I mean:-)Hope you are having a wonderful day! Super post! Love your blog! 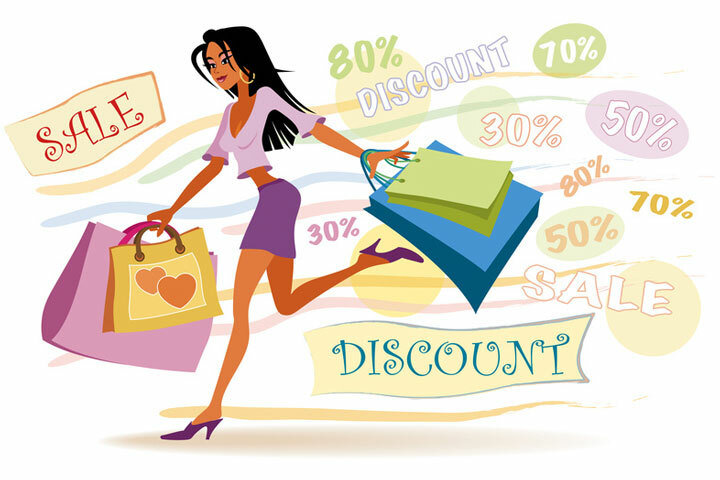 Good tips, SALE has sometime a psychological effect on customers mind. So sellers don't take it just as a way to flow your old stock. It has your market reputation on stake. I tend to shop online when the sales start. sure its great to shop in store but I just cant take the rush and shoppers and clothes everywhere. Great post! These are some great tips that I always try to keep in mind when shopping sales (which, as a "starving student", I do quite often). I love the Becky Bloomwood reference - I've definitely caught myself picking up some of her bad habits now and then! I found you on IFB and am your newest follower! I usually take someone with me and before purchasing I ask them to stop me when I cross my shopping limit. Its great when you have someone with you that prevents you from shopping more! That's my strategy!